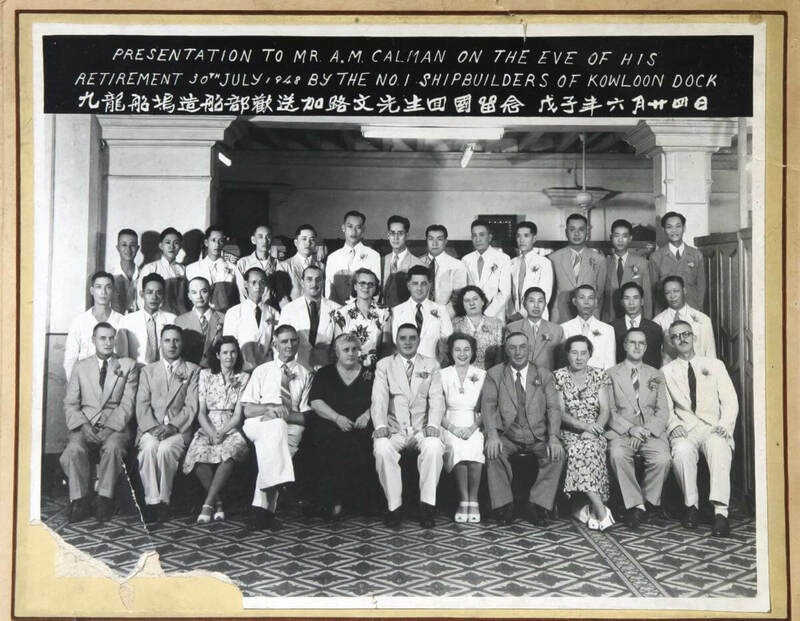 HF: Ricky Rowe, from Scotland, has sent these photographs showing a presentation at the retirement from Kowloon (HK & Whampoa) Docks of A M Calman on 30th July 1948. I presume Mr Calman is the gentleman wearing white trousers in the centre of the front row. And judging by the turnout he was a reasonably senior figure at the Dock. 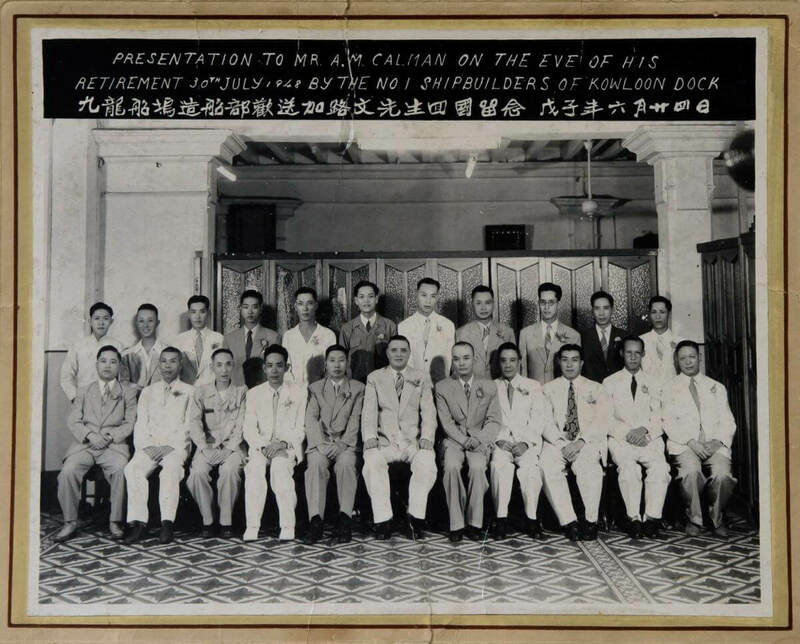 Gwulo.com tells us Mr Calman was listed in the 1941 Jurors list as Alexander Milne Calman, Shipbuilder at H.K.Whampoa Dock Co, and lived on the premises. Ricky asks if anyone can provide further information about Mr Calman or identify any of the people shown in the photos. If you are able to help please leave a comment below this article. Thank you in advance and yes that’s him. In the the top pic the woman in black is my great grandmother.